I can’t remember the last time I did a book review… Have I ever done a book review? I should, because on rare occasions I do read books. 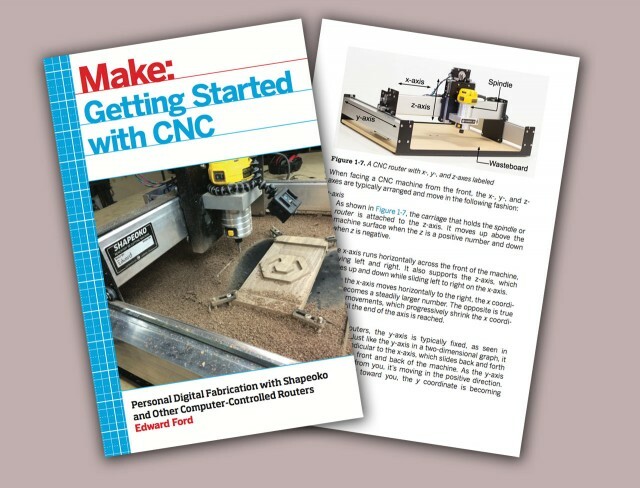 While stuck on a plane last weekend (as well as a horse farm with no WiFi or cellular service) I read “Getting Started with CNC” by Edward Ford. 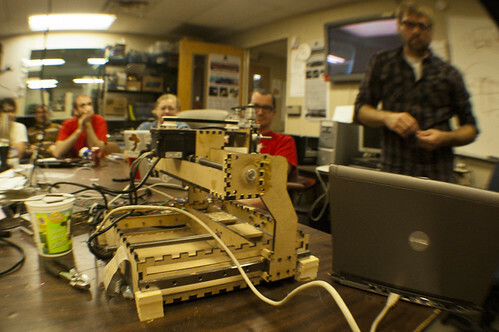 I met Edward many years ago when he came to Milwaukee Makerspace, and I’ve helped build a few Shapeoko CNC machines over the years. 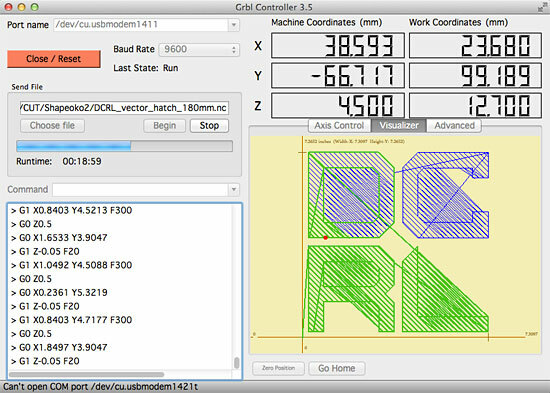 So when I saw his name as the author, I was excited to consume his knowledge of CNC machines. I should state for the record that I didn’t just see this book and buy it. It was part of a Humble Bundle where you pay some small amount and get a boatload of electronic versions of books. I tend to fill my old iPad with these, and read them when I get the chance. 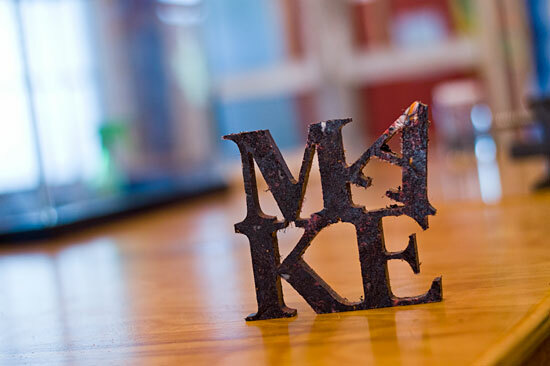 Seriously, if you are a fan of any of the Make Magazine books, sign up at Humble Bundle. You’ll mostly get emails about games (boring!) but once or twice a year you’ll get an email about an amazing book deal. Totally worth it. There’s good information about end mills, and toolpaths, as well as software (commercial and free options) and it even gets into G-code a bit. 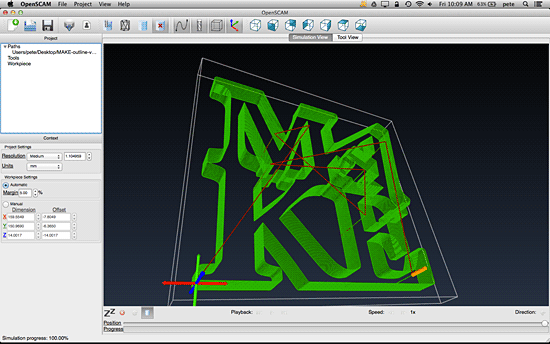 There are also some CAD exercises you can do even if you don’t have access to a CNC machine. 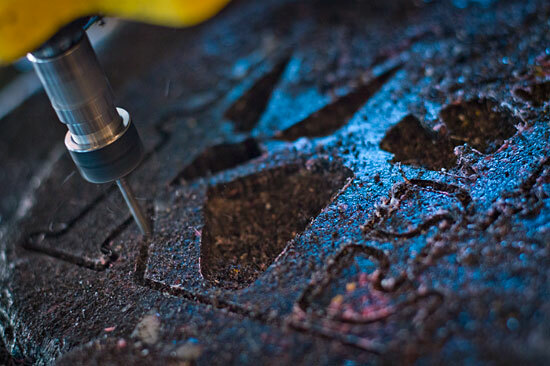 There are a number of good photos and diagrams to explain concepts and machines, and there’s a walk-through of a complete CNC project which involves inside and outside cutting, pocketing, and milling down the surface. It’s written in a very approachable manner. 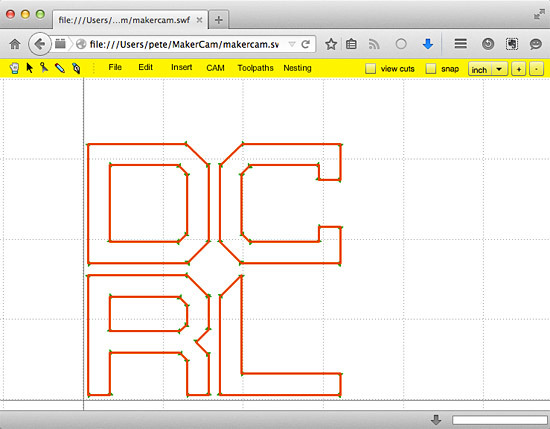 Now, I’ve done some CNC machining over the years, but I am far from an expert. 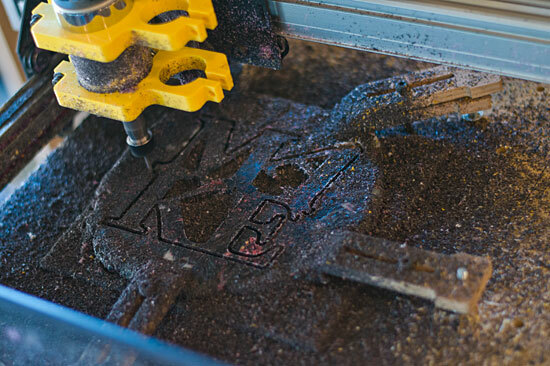 Still, “Getting Started with CNC” was a worthwhile read, and something I’d recommend to anyone who has any interest in using a CNC router to make things. 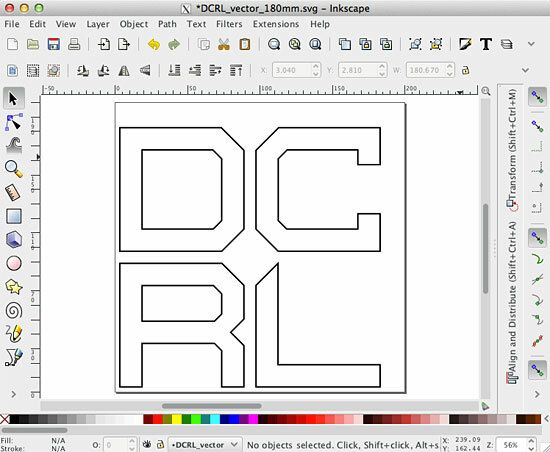 I started with my old MAKE design in Inkscape and set it to the size I wanted. I also placed it on the canvas as if it were on the piece of stock, knowing that the lower left corner would be the home position on the CNC router. If you’re using Inkscape, you need to set the prefs to 90ppi instead of 72ppi before you open your SVG file. 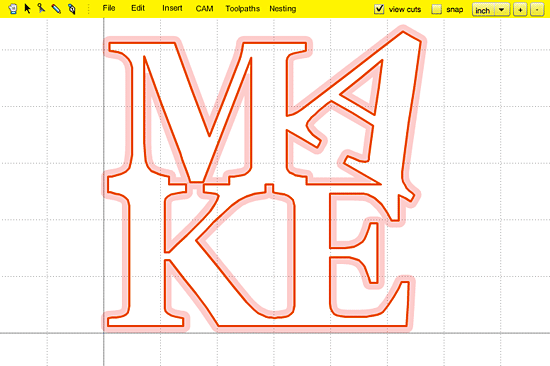 Oh, make sure you check out the MakerCam tutorial, help, and about pages. 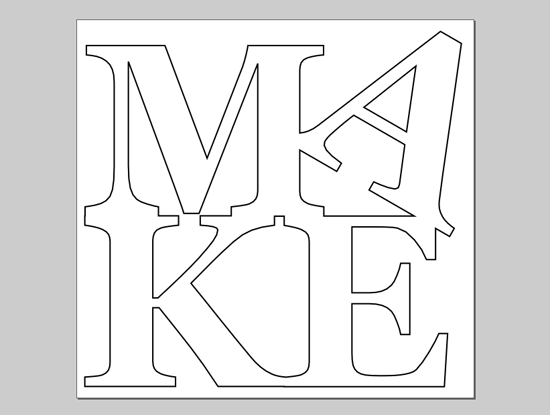 In MakerCam I created two profiles, one to cut the inside pieces, and one to cut the outside of the entire piece. 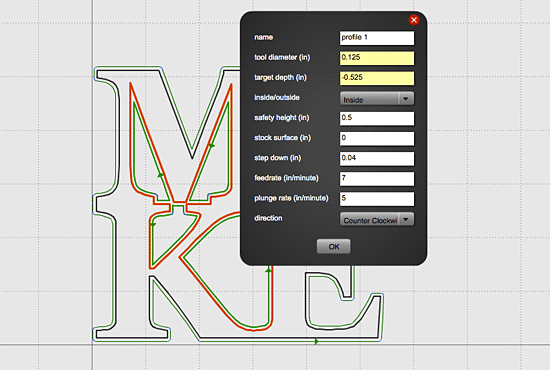 That’s pretty much my workflow for 2.5D toolpaths; create art in Inkscape, load it into MakerCam and generate G-Code, load G-Code into OpenSCAM (CAMotics) and see how it looks. 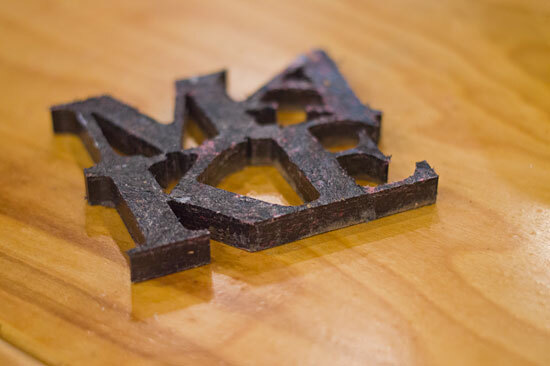 After all of my experiments with recycling various HDPE scraps, I finally got around to milling a piece on the Shapeoko at BAMspace. 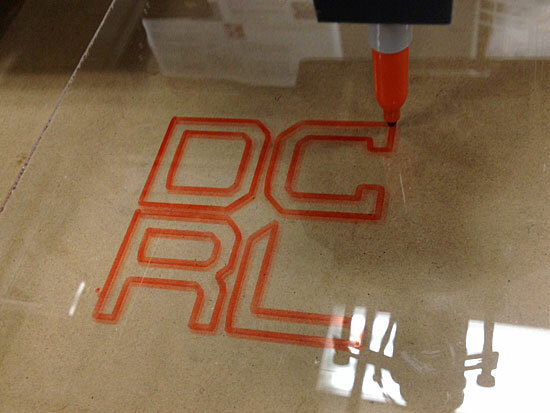 We use GRBL Controller on one of my old Linux laptops to control the Shapeoko. 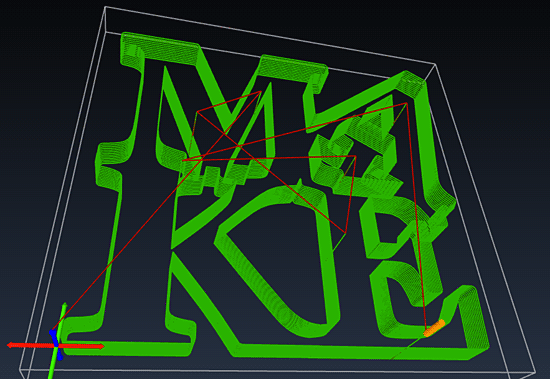 Did I mention the milling took a long time? It was about 14 passes at 0.04″ per pass to cut through. I used a 1/8″ bit. The end results were nice. A little rough, but some sanding and a few hits with a blow touch should clean things up just fine. 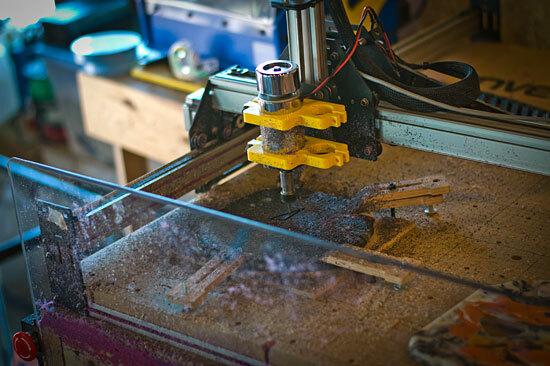 The goal of Shapeoko isn’t to build a business around selling these things, but to create a project that is fully open source, with easy to acquire materials. 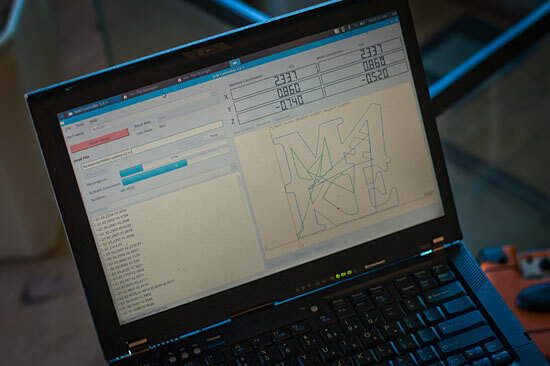 Typically when you find web sites describing a DIY CNC machine, they involved getting parts from ebay, or from scrap, or other unreliable sources. Edward wants you to be able to get all the parts you need easily, and not have to scrounge around and have a friend who happens to own a mill to make you parts. Edward’s demo was great, because he wasn’t afraid to talk about all his failures. He admits he’s not an engineer, and he’s learned a lot over the past 7 years about designing and building things. A lot of his description of the project included “So I tried X, and that didn’t really work, then I tried Y…” type things. Experimentation, a bit of guessing, and a lot of testing. We also learned a bit about running a Kickstarter campaign, and some of the gotchas involved with that. Like refunds, and how you can end up losing money if you issue one, and what happens when there are insufficient funds. Great tips for anyone interested in Kickstarter. So now that the Kickstarter campaign is done, and instead of the $1,500 he was hoping for, he’s got about 7 times that much, he’s been ordering parts, and is working on a new design, correcting any of the problems that previous designs have had. 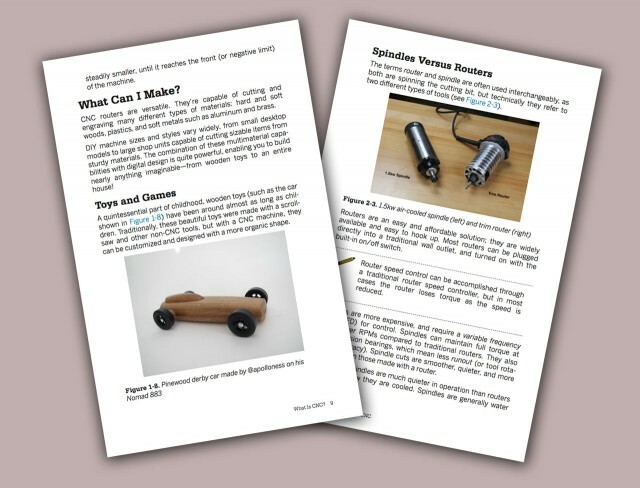 For more on the project, check out the web site at shapeoko.com, as well as the blog, Twitter, and the forum.